It’s the day after Christmas. 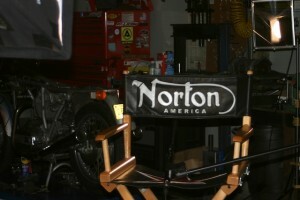 I’m going through boxes and boxes of material about Norton Motorsports and the American Norton. At the same time, I’ve got footage transcoding from one format to another from the DSLR camera. It’s pretty busy for a holiday and probably a good time to reflect on how this all happened. 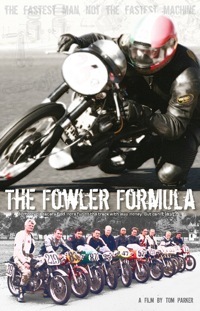 At the end of 2009 I directed my first film, a short documentary called The Fowler Formula. I made it in the DIY Documentary Workshop at NW Documentary, a non-profit in Portland that promotes non-fiction filmmaking. (If you’re interested in seeing it, drop me a line with your email address and I’ll send you details on how you can check it out online.) Making it was a blast and a lot of people really seemed to enjoy it. I was hooked. I really wanted to make another film. I waited. And waited. “And what is that, ” I messaged back. I’ve been riding motorcycles since I was twelve years old. I’ve always loved all kinds of motorcycles but I’ve only owned Japanese and German. 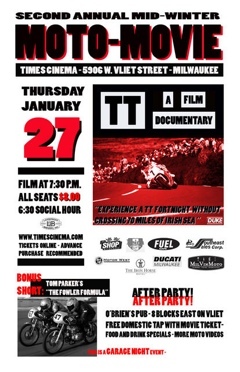 The most exotic thing I’ve ridden is probably an old Laverda loaned to me by Rick Lefauve. (And with its swapped foot controls, I suspected that was just an attempt to kill me.) 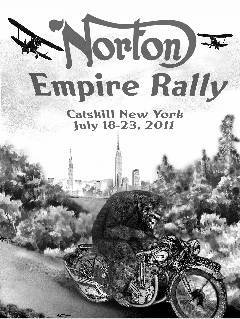 I knew some Norton history as a fan of old motorcycles — it’s Norton, after all — but that was it. I was peripherally aware of various attempts to revive the brand over the years but didn’t know anything about a Portland connection. “Portland? A Portland Norton?” Dave sent me some links and I started reading. This was a pretty good story. And I read some more and thought, no, this is a great story. One of the oldest, best known brands in the world. A painful history of false starts to bring it back from the dead. Some beautiful, artistic restoration work that begat a high-end, heavily-modified rebuilt line of Norton motorcycles that captured the attention of the industry. And finally, a small team of dedicated motorcyclists trying to realize a dream of an all-new Norton that lives up to its legacy. No, actually, I didn’t know that. So it was kismet. Fate. Destiny. Simon-Pierre “Semo” Smith sent an email introducing me to Kenny and within a few days we had a phone call to talk about the project. He agreed to meet with Dave and me. If I wasn’t sure before that meeting, I was after I met Kenny. I knew I had to tell this story. 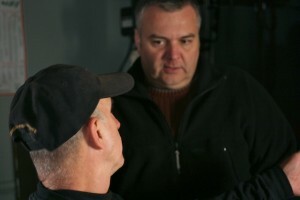 Kenny’s a wonderful storyteller, full of energy and frank, candid moments. He regaled us with tales of his early days in Pennsylvania, the Vintage Rebuilds days and Norton. Of people around the world who got behind the new Norton. Of customers turned dear friends. Most of all, Kenny Dreer is incredibly likable. Sitting next to his drag bike in his workshop, listening to his stories, already knowing how it all ended, I found myself rooting for him and his new Norton Commando. I think you will, too. Posted on December 26, 2010 December 28, 2010 Tags Kenny Dreer, Pre-Production10 Comments on How Did I Get Here?